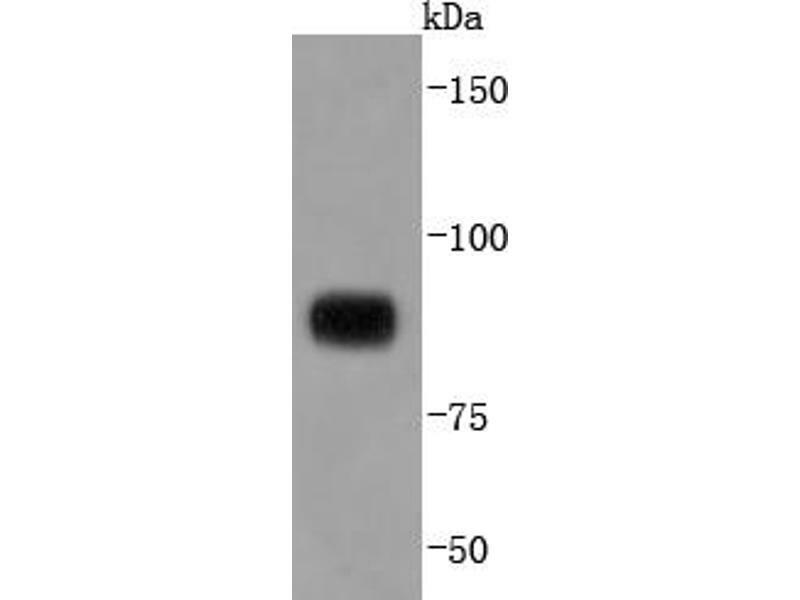 Daudi cell lysate probed with STAT4 (4E5) Monoclonal Antibody, Unconjugated at 1:1000 overnight at 4˚C. Followed by a conjugated secondary antibody. 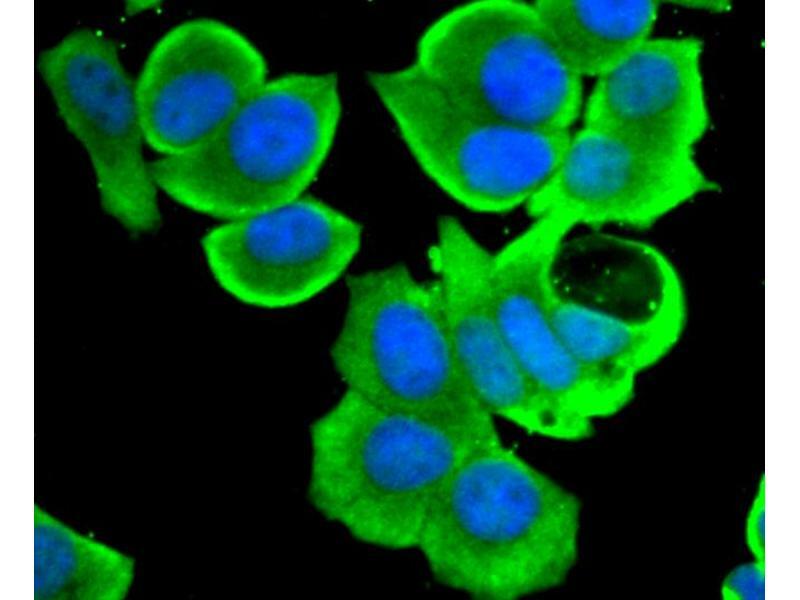 Paraformaldehyde-fixed, paraffin embedded human breast carcinoma, Antigen retrieval by boiling in sodium citrate buffer (pH6) for 15min, Block endogenous peroxidase by 3% hydrogen peroxide for 30 minutes, Blocking buffer at 37°C for 20min, Antibody incubation with STAT4 (4E5) Monoclonal Antibody at 1:50 overnight at 4°C, followed by a conjugated secondary and DAB staining. 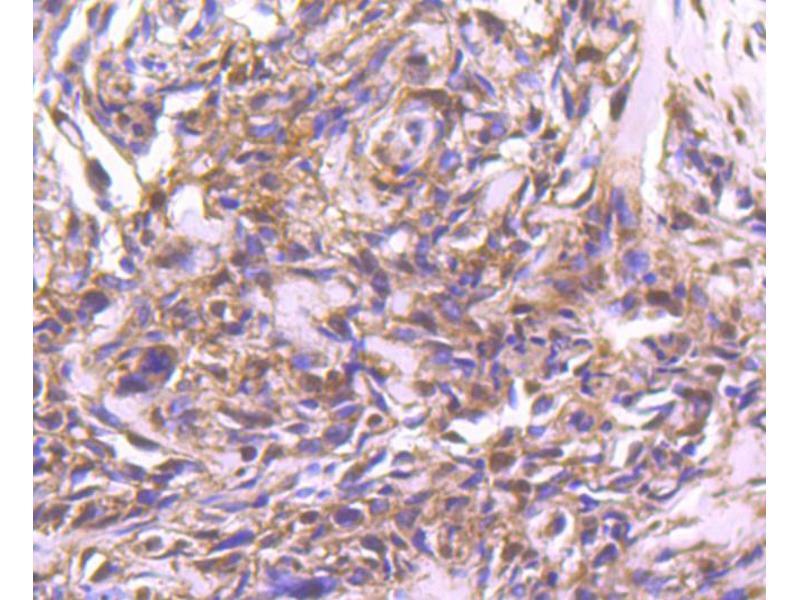 MCF-7 cells were fixed in paraformaldehyde, permeabilized with 0.25% Triton X100/PBS and stained with STAT4 (4E5) Monoclonal Antibody at 1:200 and incubated overnight at 4C, followed by secondary antibody incubation, DAPI staining of the nuclei and detection. 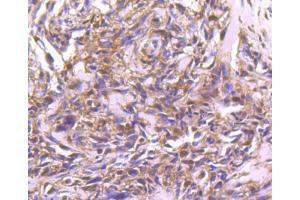 Immunogen Recombinant human STAT4 protein, around C-terminal 100aa. 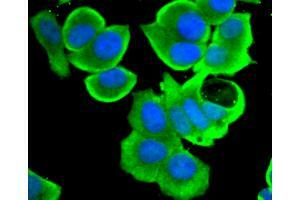 Carries out a dual function: signal transduction and activation of transcription. Involved in IL12 signaling. Buffer Aqueous buffered solution containing 1xTBS ( pH 7.4), 1 % BSA, 40 %Glycerol and 0.05 % Sodium Azide.